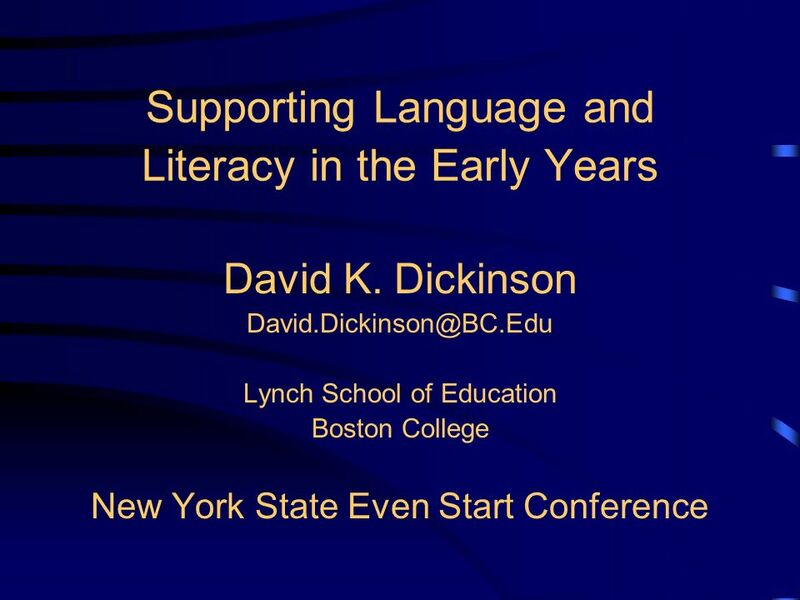 Supporting Language and Literacy in the Early Years David K. Dickinson Lynch School of Education Boston College New York State. 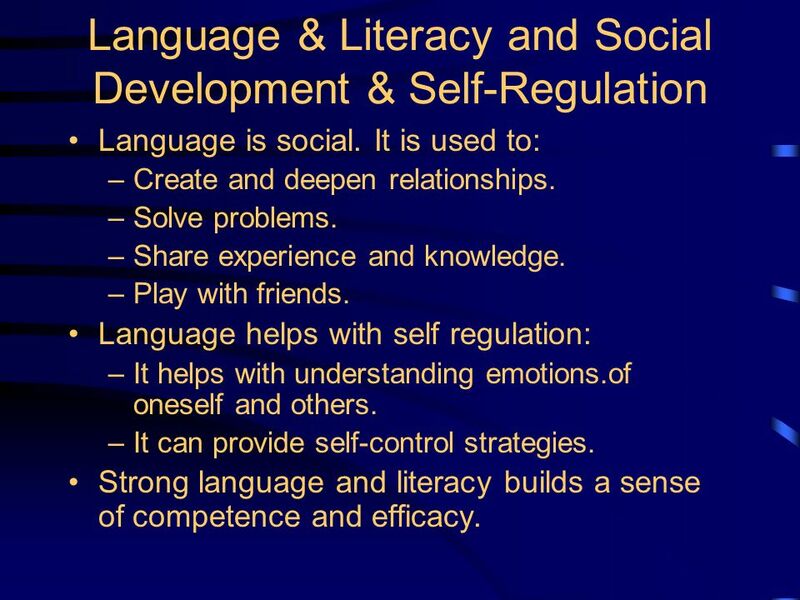 3 Language & Literacy and Social Development & Self-Regulation Language is social. It is used to: –Create and deepen relationships. –Solve problems. –Share experience and knowledge. –Play with friends. 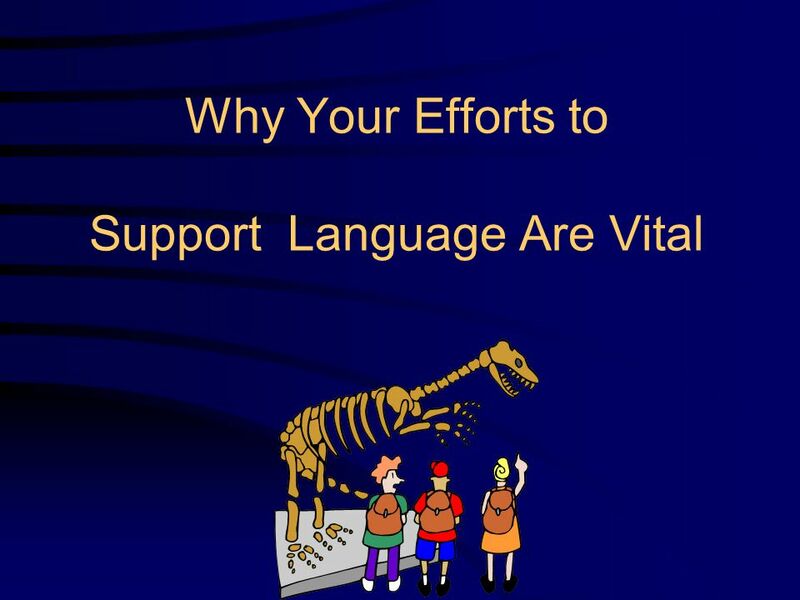 Language helps with self regulation: –It helps with understanding emotions.of oneself and others. 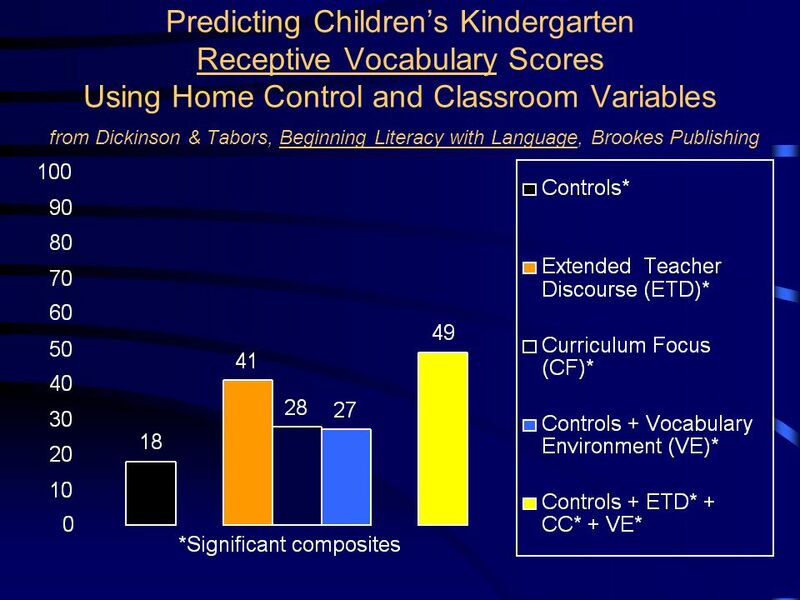 –It can provide self-control strategies. 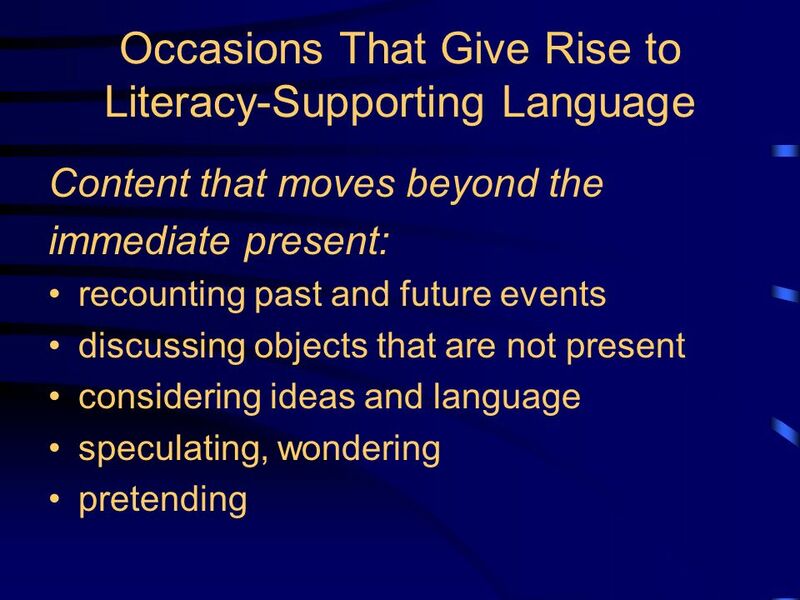 Strong language and literacy builds a sense of competence and efficacy. 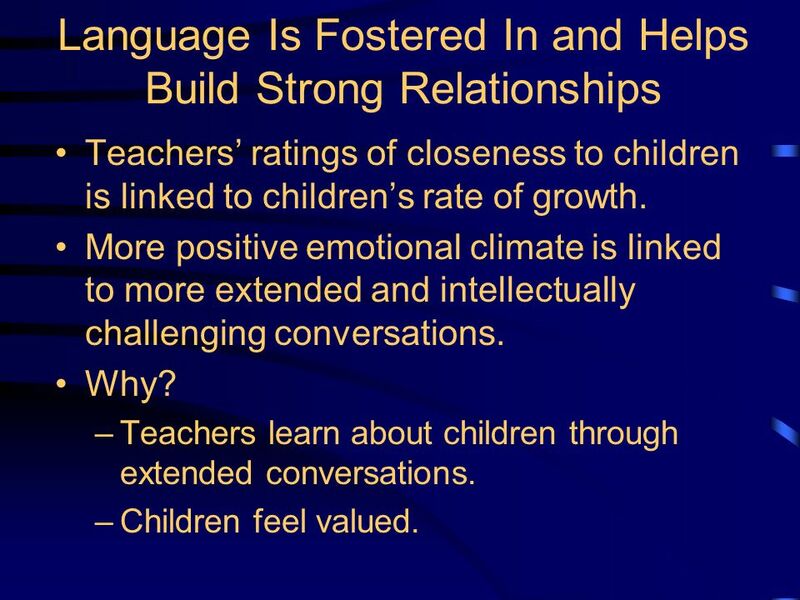 4 Language Is Fostered In and Helps Build Strong Relationships Teachers ratings of closeness to children is linked to childrens rate of growth. More positive emotional climate is linked to more extended and intellectually challenging conversations. Why? 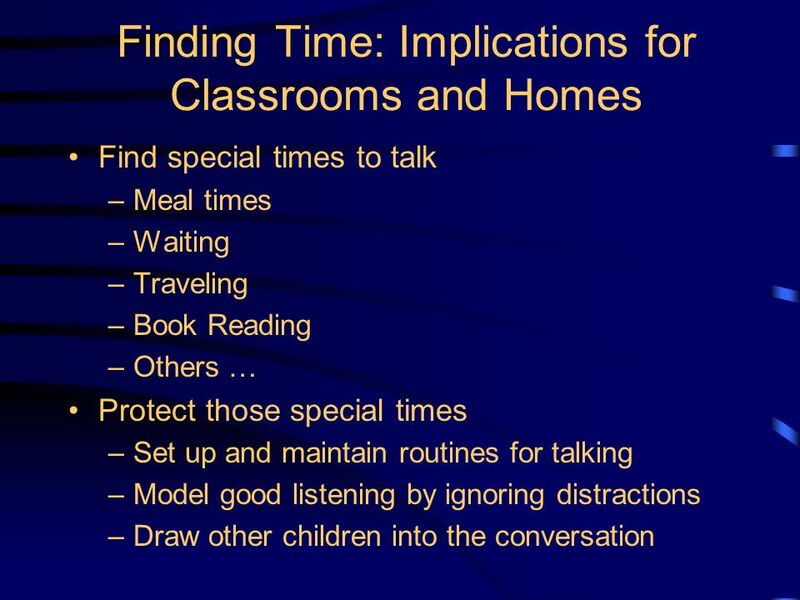 –Teachers learn about children through extended conversations. –Children feel valued. 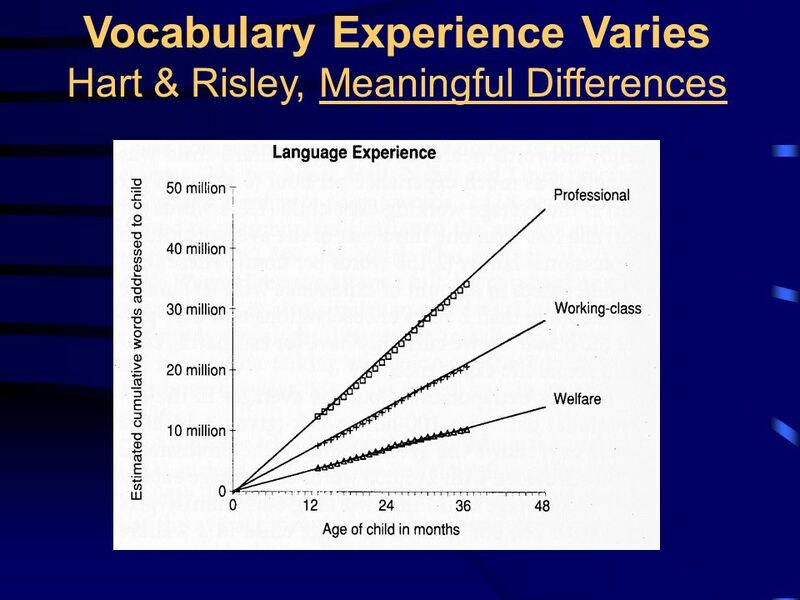 5 Question Language is key for social/emotional development of children. 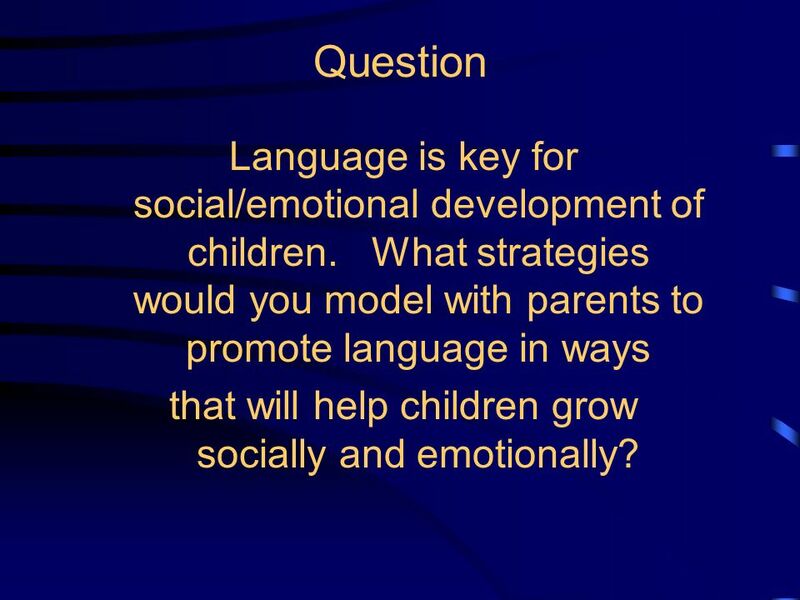 What strategies would you model with parents to promote language in ways that will help children grow socially and emotionally? 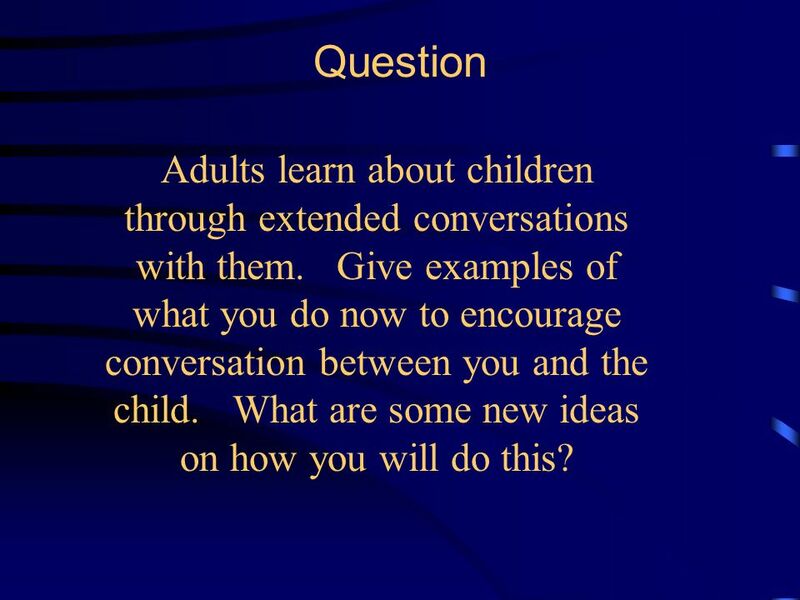 6 Question Adults learn about children through extended conversations with them. 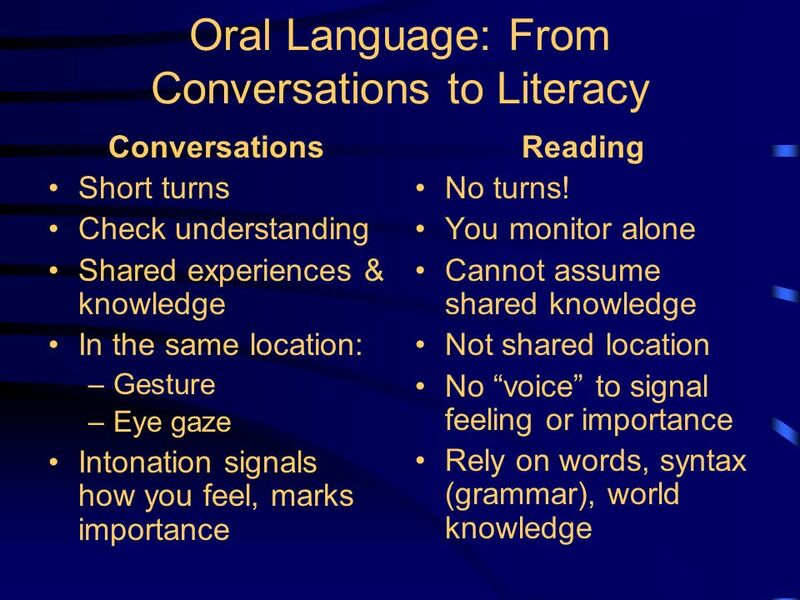 Give examples of what you do now to encourage conversation between you and the child. What are some new ideas on how you will do this? 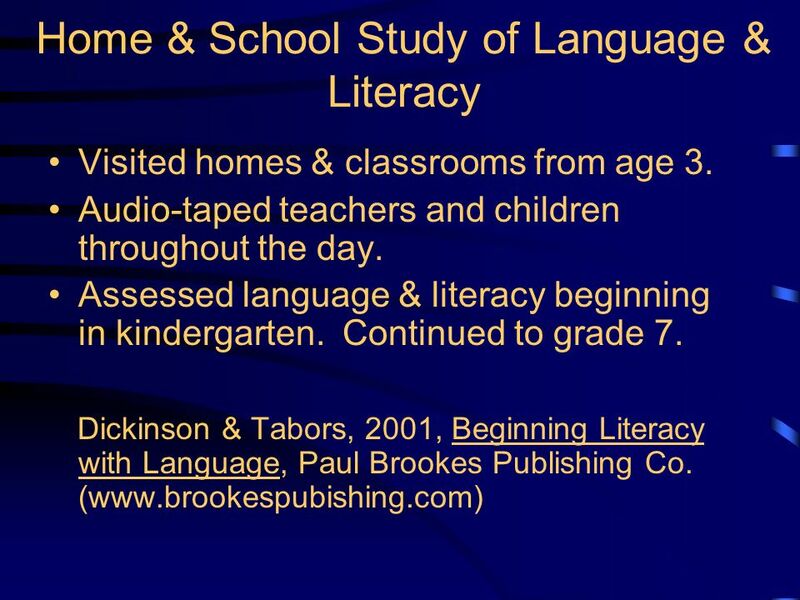 7 Why Such a Focus on Literacy? 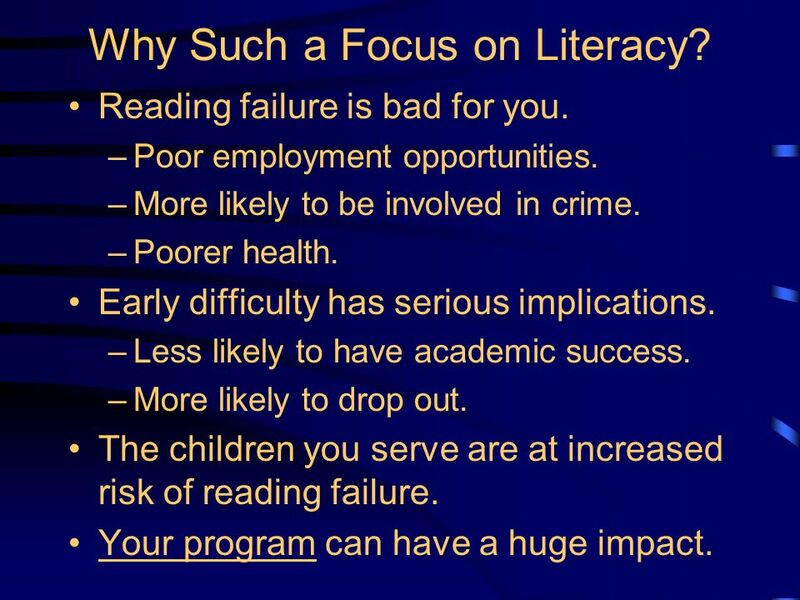 Reading failure is bad for you. –Poor employment opportunities. –More likely to be involved in crime. –Poorer health. Early difficulty has serious implications. –Less likely to have academic success. –More likely to drop out. 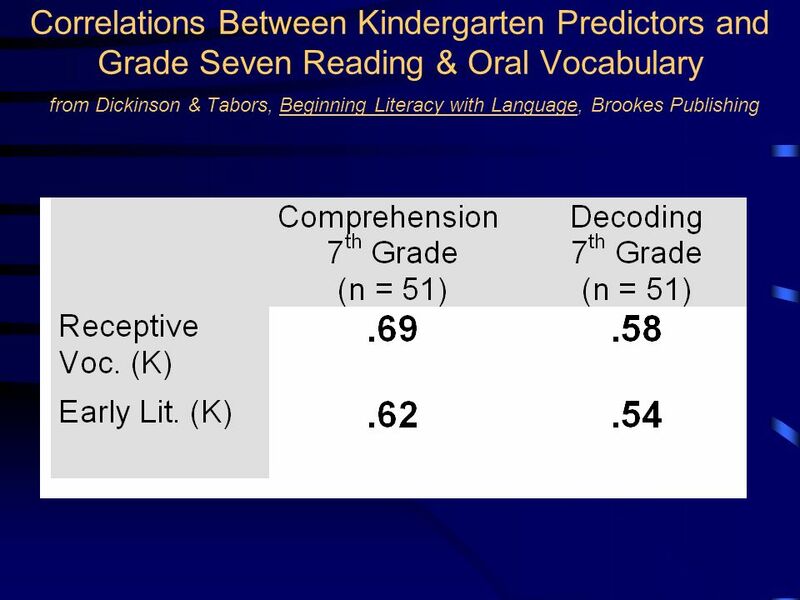 The children you serve are at increased risk of reading failure. Your program can have a huge impact. 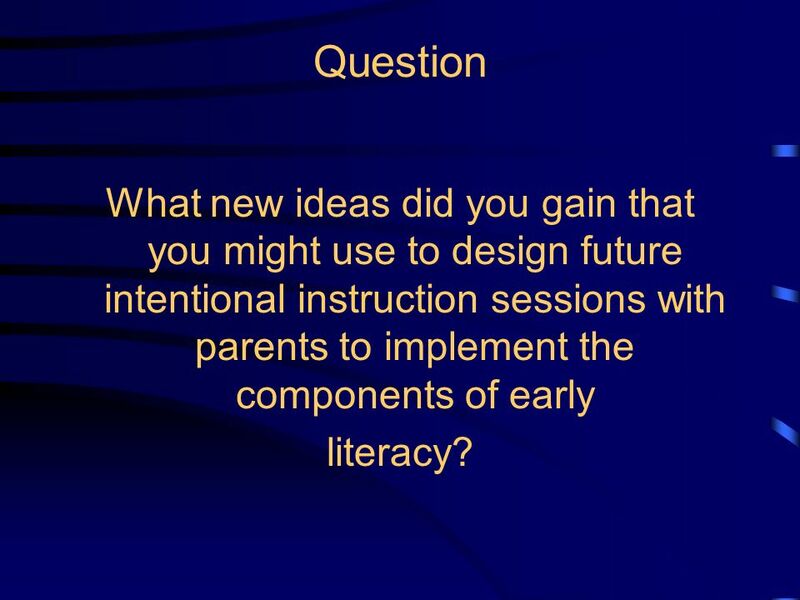 9 Question What new ideas did you gain that you might use to design future intentional instruction sessions with parents to implement the components of early literacy? 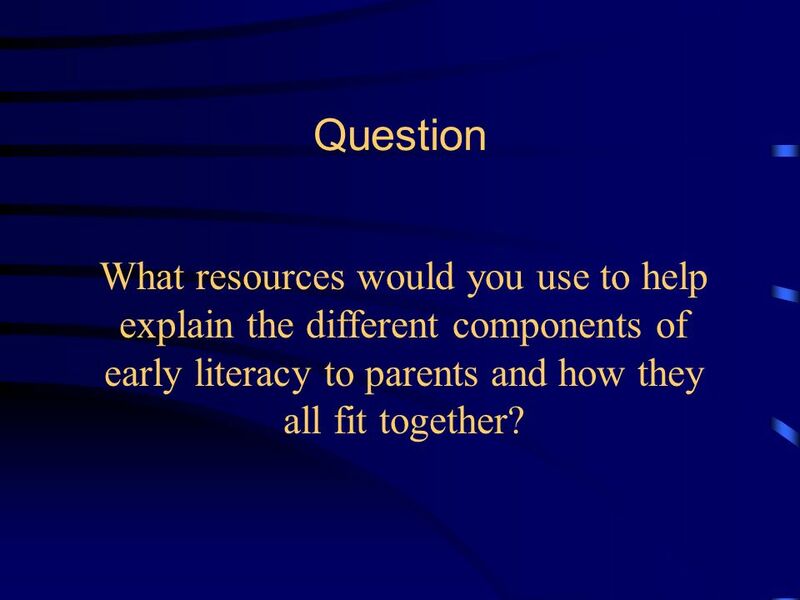 10 Question What resources would you use to help explain the different components of early literacy to parents and how they all fit together? 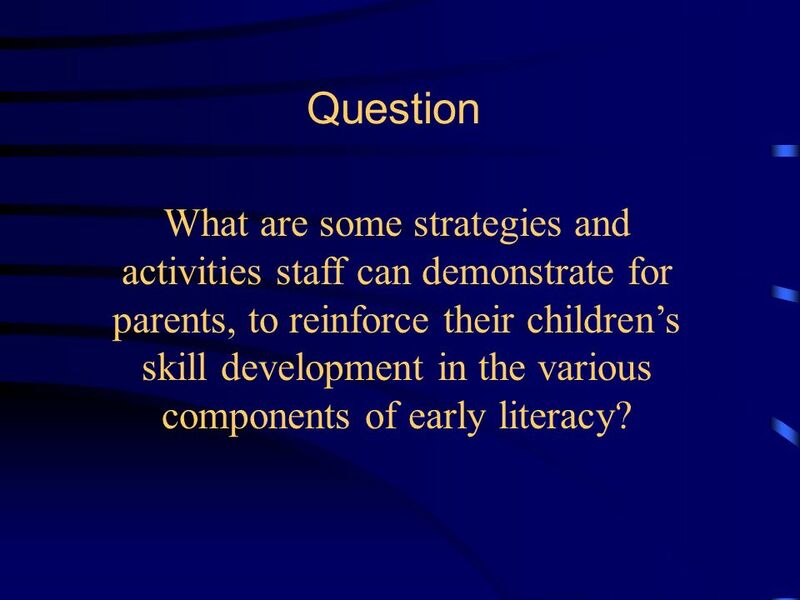 11 Question What are some strategies and activities staff can demonstrate for parents, to reinforce their childrens skill development in the various components of early literacy? 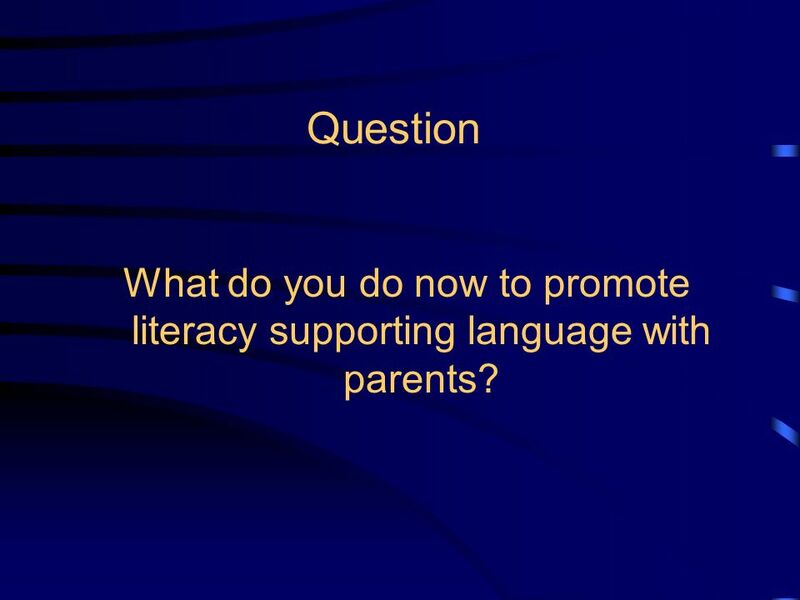 15 Question What do you do now to promote literacy supporting language with parents? 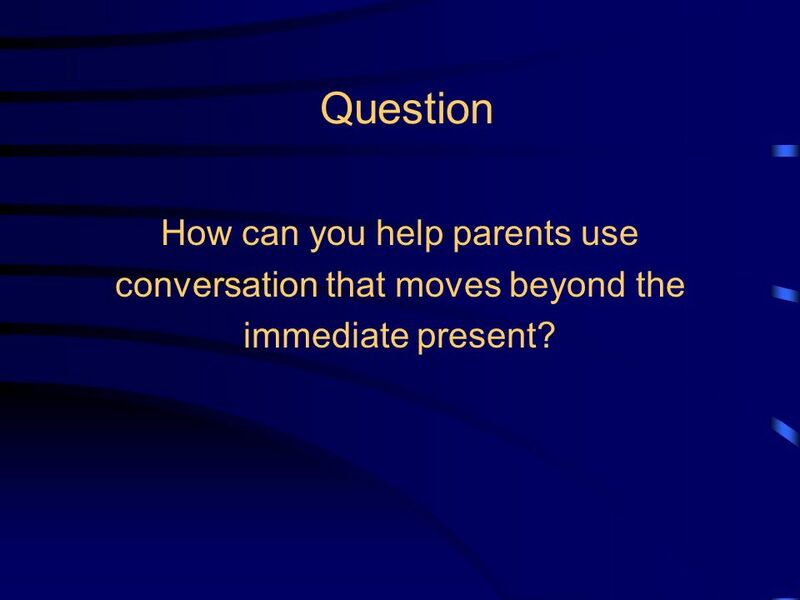 16 Question How can you help parents use conversation that moves beyond the immediate present? 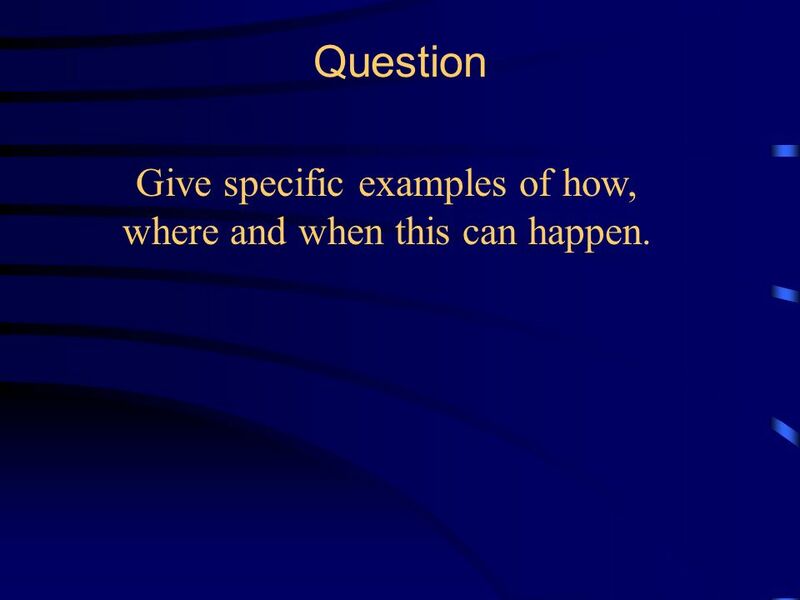 17 Question Give specific examples of how, where and when this can happen. 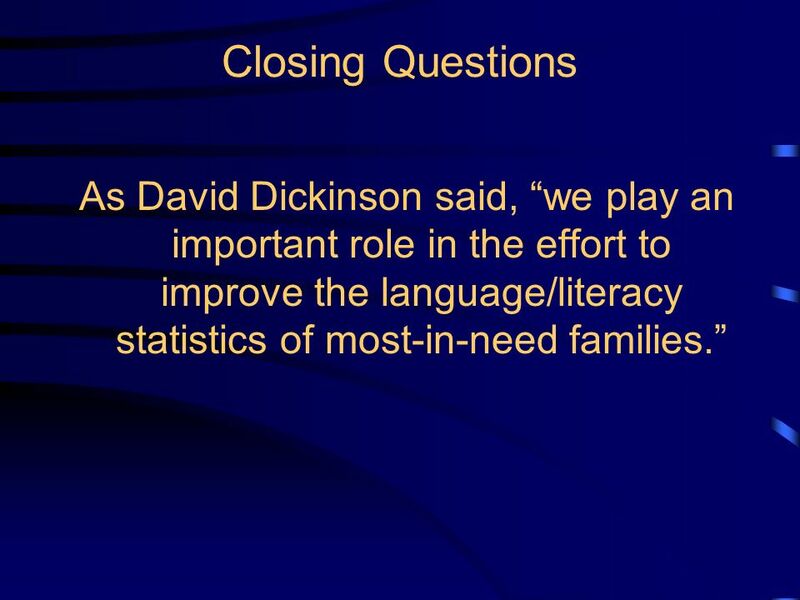 23 Closing Questions As David Dickinson said, we play an important role in the effort to improve the language/literacy statistics of most-in-need families. 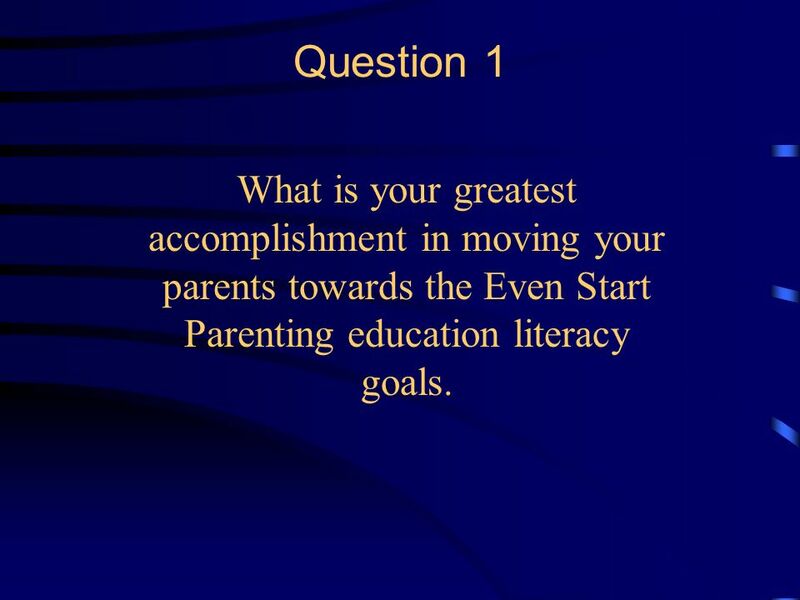 24 Question 1 What is your greatest accomplishment in moving your parents towards the Even Start Parenting education literacy goals. 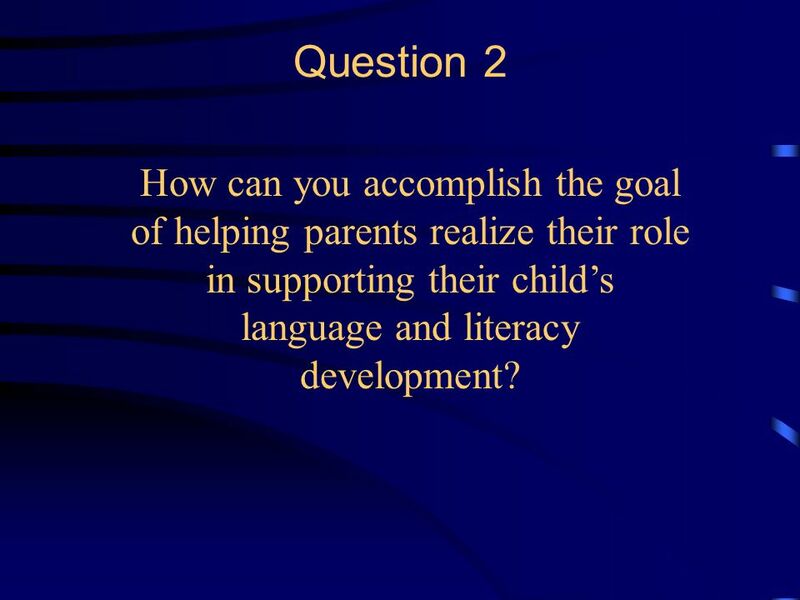 25 Question 2 How can you accomplish the goal of helping parents realize their role in supporting their childs language and literacy development? 26 Question 3 Based on what you learned in the video and from other research, what are your specific next steps for parenting education? 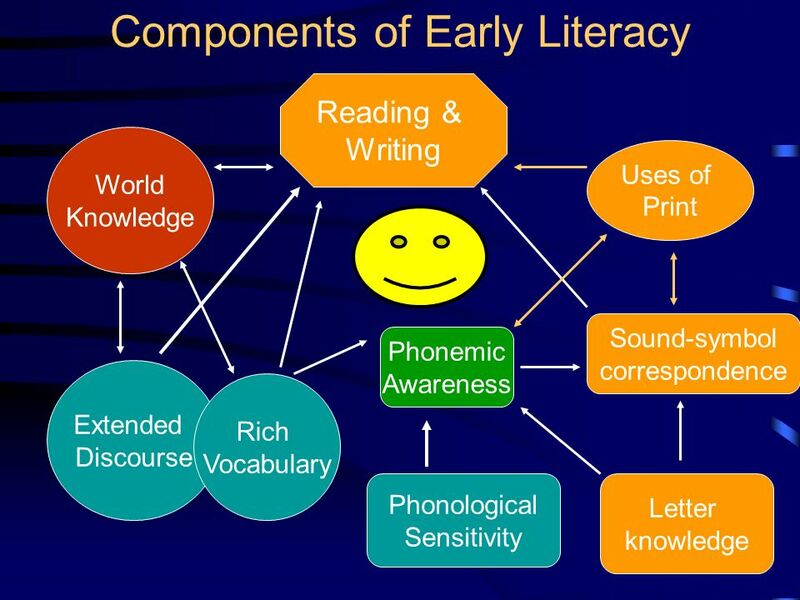 Download ppt "Supporting Language and Literacy in the Early Years David K. Dickinson Lynch School of Education Boston College New York State." Debbie King Willamette Education Service District.  Language involves the use of vocal sounds and written symbols to comprehend, form, and express thoughts and feelings (Raymond, 2012).  Any code employing.